Bedding in the bag, next stop bed base! After finding numerous ‘cheaper options’ for bedding, I am now in the process of deciding on which bed to purchase. The bed will most definitely need to be king size, to accommodate our memory foam mattress, and have ample storage space. Our previous bed, the Houston from Bed SOS, was admirable with its luxurious black faux leather finish and four storage drawers. Obviously, with the change in colour scheme we have had no other option but to shop for a brand new bed. Kelly has decided on a divan base, not my ideal choice, but i’ll get over it. The thing which gets me with divan beds is that you immediately think ‘molly floral’ designs, but these days there are some gorgeous divan beds, I was most impressed. 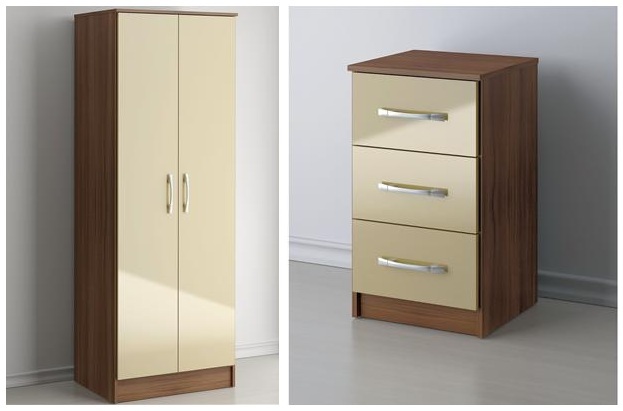 I love the idea of deep storage space and a choice of fabric finish – I’m thinking of a kind of mink chenille finish, as this will sit lovely with the carpet, and it’s bound to look beautiful once the bedding, cushions and throws are arranged specifically to suit. I think a visit to Northgate Bedding Centre over the weekend is in order to see such a bed in the flesh. With all the excitement and progress made from the weekend, I can’t resist searching for bedding! I’ve been looking at various types of bedding, from brands such as Dorma and Kylie Minogue. Kelly and I have set a budget, as you do, and although the Dorma Evie with matching curtains is within our budget I am still in two minds whether or not to go for it. I mean, it looks great and I’ve had Dorma in the past but is it really practical with a kitten in the household, and will it even go with the new wallpaper? Maybe I’ll ponder a little longer. 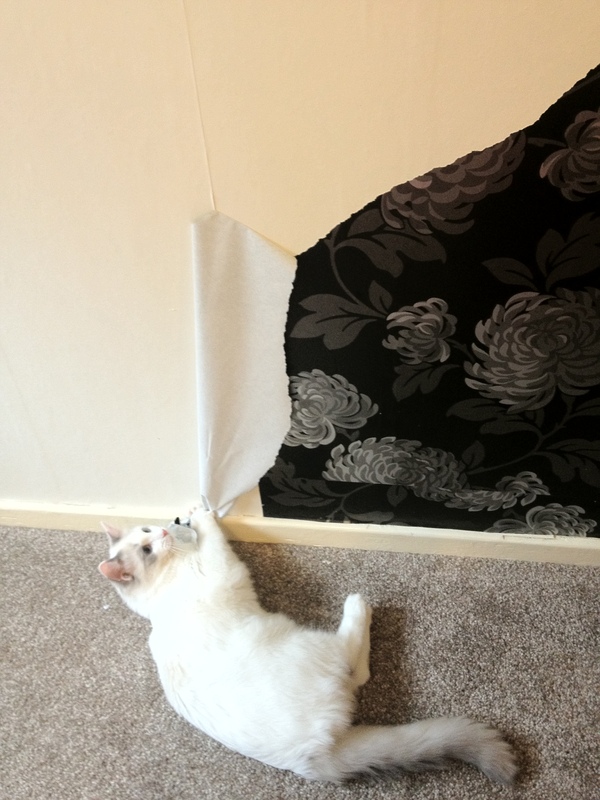 Saturday morning I woke up and felt a sudden urge to strip the bedroom wallpaper, and boy was it a ‘mission!’ Luckily, half way through, Angel (the cat) decided to help me. So there I am, kitted out in my PJ’s with the cheap scraper I purchased months ago in my hand, determined to get the once luxurious black wallpaper off. It was all going fine, until I realised I hadn’t had my Shreddies and couldn’t be remotely bothered to finish. However, my OCD mode kicked in and I just had to get it finished before the wifey returned home from her overtime shift. With the wallpaper finally stripped, I could now begin to imagine that wall covered in the desirable cream damask wallpaper we had purchased weeks ago from Wilko’s. We chose Wilkinson’s paper as, to be honest, it was the best paper we had seen to suit our desired bedroom theme – plus Wilkinson is ‘the home of family value’. I can’t wait to shop for bedding, cushions and accessories!